Nothing gets me in a festive mood as fast as the holiday scents of Thanksgiving and Christmas. 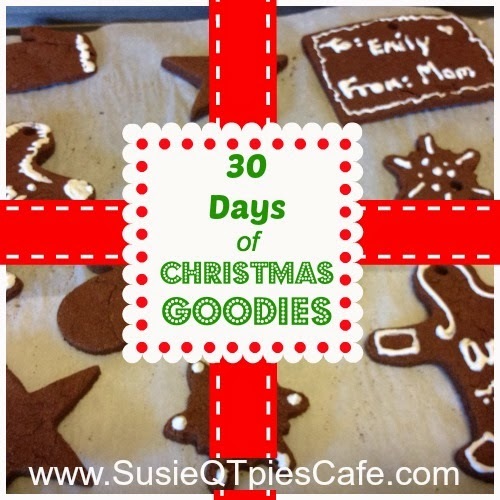 Snow, Christmas decorations, Christmas goodies and a Christmas tree all carry special memories for me. These memories have special scents that trigger my mind to the fun times I've had with my husband and three teens. Do you have any favorite holiday scents? What are some of your favorites? Thanks to the sponsors, SheSpeaks and Febreze for providing holiday scents to facilitate my review. 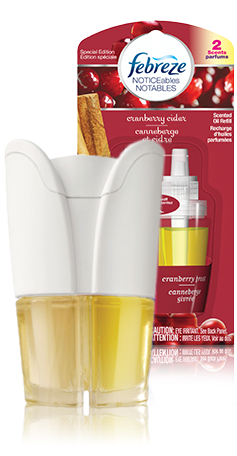 The Febreze scent of Cranberry Cider (combination of apple cider and cranberry frost) is one of my all time favorites. This scent is used in my kitchen and family room. I love how it eliminates all the food odors instead of just covering them up. The Cranberry Cider scent is warm and inviting and I use the Noticeable Warmer in both areas. My husband loves the smell of Christmas tree pine for the holidays. If we have a real tree some of that scent is in the air. Thank goodness for the Febreze Glistening Pine scent to carry the festive holiday smell in all rooms of my house. Every room has at least one Christmas tree and I add a Glistening Pine Febreze Set & Refresh by every tree to spread the cheer. My teens love the snow and fun of outdoors. I capture that mood and smell by adding a Set & Refresh Febreze Winter Frost to the bathroom, laundry room and their bedrooms. Our house is ready or the holidays. How about yours? Go check out the Febreze Holiday Scents and tell me your favorite and why and you could with a $10 Walmart gift card. There will be one random winner picked on Dec. 10th. I'd like to try the glistening pine. I love the smell of pine; especially this time of year. It reminds me of having live Christmas trees as a little girl. I like Glistening Pine scent, it reminds me of Christmas tree.